February 21,2019 from 9am to 3pm. Join us in Olympia for a powerful day of advocating for democracy on Thursday, February 21, 2019! On that day we will be meeting with legislators to advocate for bills that expand opportunities to vote, promote more representative election systems, empower disenfranchised communities, reduce the influence of special interest money and strengthen government ethics. Meet with your legislators, receive hands-on advocacy training, and connect with like-minded advocates and members from across the state. Your participation has a direct impact. Once you register, you will receive additional information regarding the exact schedule for the day, carpooling opportunities, parking, and other details. If you'd like to carpool to Olympia please see this link. The organizers are making appointments with individual legislators, so you will not not need to do that on your own. The agenda and meeting schedule will go out once we know the committee schedules. We will provide training on critical democracy issues in Washington and how to effectively advocate with your legislator. We will set up meetings with your legislators as well as to help those who would like to testify in committee. No need to be an expert in these policy issues as we will provide the training you need to speak comfortably with your lawmakers that day. Just bring your passion for democracy and a readiness to learn how to take action! We will bring brightly colored, hand-painted rocks to Olympia and leave them with legislators as a paperweight and reminder of who they are supposed to represent. If you would like to make your own Democracy Rocks to give out, see our instructions here. We are inviting those who are able to chip in $10 per person to help cover the costs of the room and the refreshments, though payment is not required and we do not want anyone to miss the day due to lack of resources. We would also ask you to consider sponsoring other attendees by donating more than $10. We have secured the Columbia Room in the Legislative Building. That means we will have a “home base” for the entire day where you can leave personal belongings and stop by to rest and enjoy refreshments in between appointments. 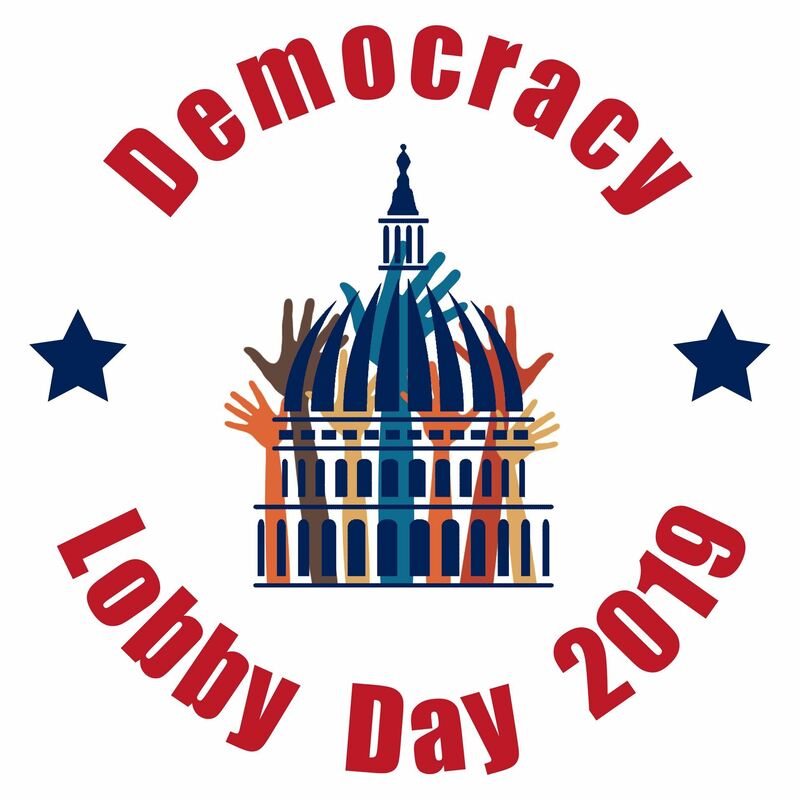 LWV-Thurston County has generously opened their homes to participants of 2019 Democracy Lobby Day. Please contact Laurie Craig at lcraig8157@hotmail.com if you would like to have us arrange a homestay for you. She will need names of guests, their address, email, phone, any allergies, and their time of arrival. Alternatively, participants may want to stay at the Quality Inn (1211 Quince Street SE, Olympia, WA, 98501), which has reasonable rates and is located about 1 mile from the Capitol, or a 20 minute walk. Reservations can be made on their website or you can call them at (360) 943-4710. If you'd like to carpool to Olympia please see this link.